Home / Unlabelled / Google Knowledge Graph: Changes the Search Plan! Since the day Google Service came into being, life took a new turn. Till now, Google is enjoying to have a privilege of the biggest search engine that has bring a revolution in the world. Getting information of anything was never too easy as it is now with Google. Despite of the satisfactory searches that Google usually makes for the users, the team has had been working on how they can further enhance the procedure. It was only this week when finally Google unveil its outstanding new search functionality which has been given a name of Google Knowledge Graph. This new added functionality will produce search results on the basis of predicting what the user actually meant to search focusing on the context of search. This was important, according to the Google team, because initially the engine used to offer searches that were based on terms used by the user. Now Google do not take the strings of words and generate searches based on the terms used, but it actually tries to understand what the user is looking for, producing much likely results that would meet up user requirements more. "The Knowledge Graph enables you to search for things, people or places that Google knows about—landmarks, celebrities, cities, sports teams, buildings, geographical features, movies, celestial objects, works of art and more—and instantly get information that’s relevant to your query. This is a critical first step towards building the next generation of search, which taps into the collective intelligence of the web and understands the world a bit more like people do." 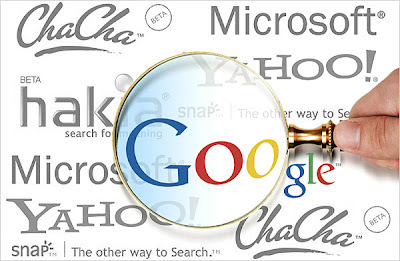 Google integrated this functionality on the basis of the following factors to make the searches more compact. There are three aspects responsible here. When it comes to a search engine that acts as a single tongue for the entire world, having users that belong to different states with different languages. There are wide chances that the words can be either wrongly termed by the user or misinterpreted by the Google Search leading to the inappropriate search results. Imagine of a scenario where the user writes “Night timings of xyz Museum ” and the search shows you the results of the movie “A Night at the Museum”, well now this is a common thing, we all have faced, I did at least a couple of times, so you see languages can be a barrier often effecting the search results. Google has well defined the need of Google Knowledge Graph by giving an example of Taj Mahal. If a person types the keyword “Taj Mahal” in the search tab, the possible Interpretations that a search engine can make are Taj Mahal the monument, or Taj Mahal the musician. With Google Knowledge Graph, Google has got the sense to understand the theme of search. Now,as can be seen in the image below, Google presents a well classified view, offering all the possible interpretations on bottom right with most likely search being displayed at the entire right column. Google has been working so long to add this feature to the search engine. most of the times, people are only looking for a short summary of their search terms. By now, terms that we type in the search box display all the likely topics from across the globe, with big articles and irrelevant content. Google, realizing this fact, will now summarize the relevant content around the topic being searched, covering the important dates, figures and highlighting the facts and achievements related to it. To make it clear, consider an example of searching about any popular scientist or a historic figure. The most significant data that a user might be looking for will be his date of birth, place of birth, death details, achievements, discoveries, educational knowledge, etc. Another amazing fact about this new reveal is, it has a sense of relating relationships. for instance, a person searches for Sonia Gandhi who is a well known figure in Indian Politics, the search on her, will also show her relations like Rajeev Gandhi’s summary, along with other members who are somehow related to her. Moreover, another aspect will be that all other politicians of India will appear on the search as all the entities are closely linked to each other. Google believes that a person who is interested in knowing about Sonia Gandhi might also be looking for the above stated elements too. The most important part of the new functionality revealed, according to the Google Team is the additional feature a part from the exactly matching searches of proposing the most likely searches that the user might search in the next step. This Means that Google will keep the track of your most likely next step by offering you searches that might be what you would be looking after searching what you just did. Up till now, the added functionality is only limited to the U.s English users, However, Soon it will be added to the Google Search engine across the globe. A good news for the smart phone users is that Google Knowledge graph will also be available on all smart phones and tablets. Google Knows all the Good tactics to maintain its place in the market and the functionality that the search Engine is integrating to enhance its over all worth. With Google Knowledge Graph, one can surely expect a customized browsing that will not only save time but will also improve the overall work with relevant searches in no time. That’s all for Now, keep expecting much more to come from Google in coming days.